Free Shipping + $1 Gift Wrapping + Free Gift Message! 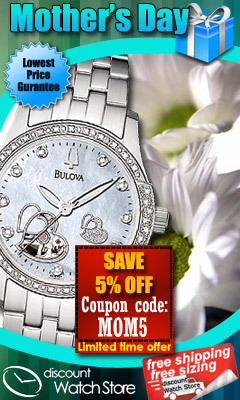 For Mother’s Day 2009, Discount Watch Store offer Coupon. Use code MOM10 at checkout.